After you’ve done some research and have decided to contact a guide, think about what kind of experience you want to have on this trip. Are you going out with a fishing buddy, or maybe taking one or more family members with you. Are you combining the trip with a vacation and if so timing might be an important thing to discuss. Weather can change things in a hurry so it’s best to be flexible when booking a trip. Be sure to talk to your guide about where and how you will be fishing. If you are going to bring your own tackle, discuss it with your guide upfront so they can fill you in on what you might want to leave at home. No sense bring finesse gear if your guide plans to take you into heavy cover. 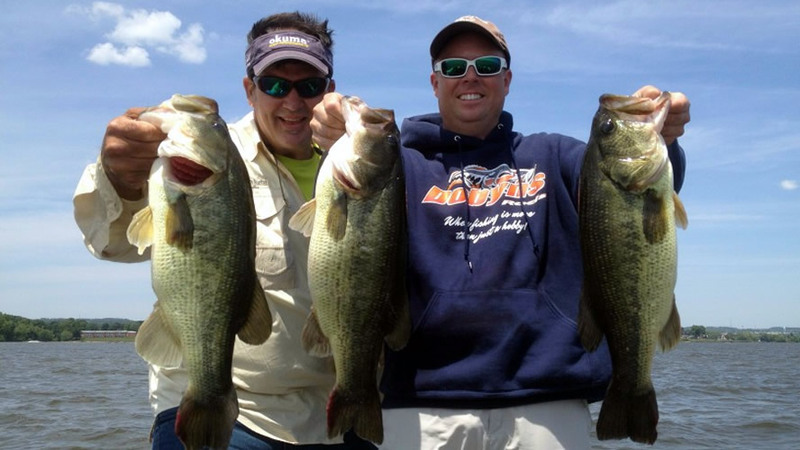 “If you have had trouble catching fish lately, have not been fishing in a long while, or have never been fishing, I have some sound advice for you…..call a guide. Recently, I have been struggling in my quest to catch the ever elusive, black bass, on our local fish haven, Richland-Chambers Reservoir. 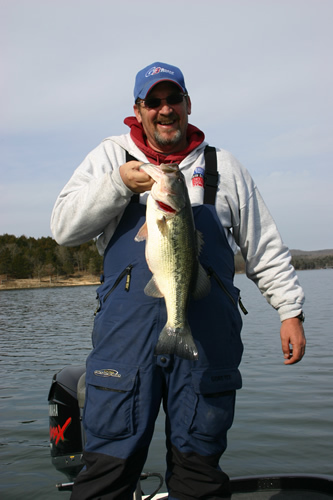 Rather than sell my boat and all my gear out of frustration, I opted to call a friend of mine, Stan Lawhon, who guides on Richland-Chambers Reservoir. Stan has been guiding for three years. He has developed a reputation as a personable guy who enjoys going out and catching fish and helping other do the same. We had a great day on the water; we caught some fish, I learned what I needed to be doing, but most importantly, we had a great day on the water. The whole experience was fun and it rejuvenated my confidence in my ability to catch fish. I simply needed a little help. Although I am far from being an expert, I have been bass fishing for a number of years. I needed someone that teach me a new technique or two and show me a few new places to catch fish this time of year. I accomplished both of my goals fishing with Stan. Guides serve a wide range of anglers. They can help you learn fishing strategies, fishing techniques or proper lure presentation, just to name a few. If you have never done much fishing, I would strongly suggest going fishing with a guide a few times to learn how to fish correctly, and whether or not you like it all. If you do like it, then is the time to go out and buy your fishing gear, not before. If you wouldn’t buy a car without trying it out first, why would you spend a bundle of money for fishing gear without knowing if you like doing it or not? So how much does a trip cost? Obviously rates are going to vary depending on the part of the country you’re from, but usually are reasonable. Many guides will offer full or half day trips, so if you don’t have all day, you can opt for the shorter trip. Some guides will require that you use live bait (in case the fishing is slow), or bring it along if you plan to use artificially lures. Usually bait costs extra and most guides will tell you that up front. Some guides provide drinks and snacks while other will tell you “you’re on your own”. Always best to be prepared, pack what you need, but try to keep carryon items to a minimum. Again, the best bet is to ask your guide in advance. So next time you’re a planning a trip or a family vacation, take a look at what lakes are in the area you are going and see if you can squeeze in a guided trip. What better way to spend time with the family than some time on the water. Although most guides can accommodate more than one or two anglers on a trip, and tackle is almost always provided, it’s always best to confirm before making an assumption. Five years ago in March, I was blessed with the birth of my little fishing buddy, Tatum. In an attempt to spend as much time with Tatum as possible, I cut way back on my fishing, opting instead to stay home with her. Although it was a sacrifice I will never regret, I did miss my fishing. A fishing partner of mine had a son the same year. He too, choose to stay home with his child. One day, we were talking about how we missed going fishing. As the discussion continued, we explored the idea of going fishing at night, after the little ones had gone down for the evening. Is Bigger Always Better ? I’m pretty much willing to bet that nearly every angler reading this article, at one point or another, has heard the cliché “Bigger baits catch bigger fish”. But does this hold true in every situation? As a Long Island angler, I seriously doubt it! Time to face facts, bigger isn’t always better. So with that in mind, we ask ourselves, what are we left with? Answer; finesse! Finesse, a word that many long-time, traditionalist bass anglers cringe at the sound of, has brought about a revolution in the way many anglers approach bass fishing. Full contact fishing you ask? Could this be a new form of “extreme fishing requiring pads and a crash helmet? In a word, no. However, for many it may be a style of fishing that is very unfamiliar, and in some cases may even seem foolish. The basis of full contact fishing lies in the fact that instead of fishing in and around cover and structure…you fish on it. For all intents and purposes the cover becomes part of the overall presentation. Immediately one might assume this falls under the category of “fishing fad”, but the truth is; it has been a secret of many top pros for years.